We made it to the end. A lot of Sriracha has been consumed, along with a lot of water. 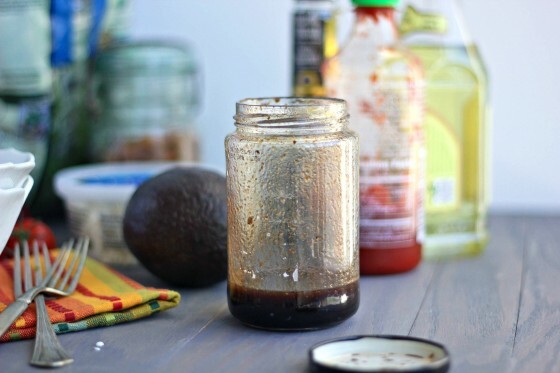 I am concluding the week with a simple recipe for Sriracha balsamic vinaigrette. I could have saved the best for last but I found so many amazing recipes and post from many amazing bloggers that I wanted to share with you. So first, the dressing. I made a very simple balsamic vinaigrette and simply added a little Sriracha to it. Let’s face it: after yesterday’s pasta bake, the biscuits earlier this week and the usual amounts of sugar that I consume, it was time for something just a little on the healthier side. I made a quick salad with spinach, tomatoes, banana peppers, red peppers, feta cheese and avocado and drenched it with this spicy balsamic vinaigrette. I very rarely buy salad dressing at the grocery store. They are so easy to make at home, you can add any herbs and spice you want and you can have a new flavor each and every time you have a salad, and I love that I can keep salads interesting that way! Classic recipe for balsamic vinaigrette with the added heat of Sriracha sauce. Combine all ingredients in a jar. Shake well to combine. Serve with your favorite salad fixings. 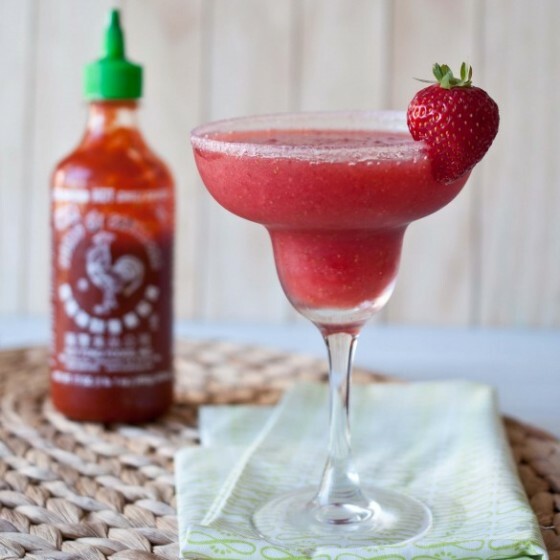 Another delicious recipe to use Sriracha! My husband would love this! 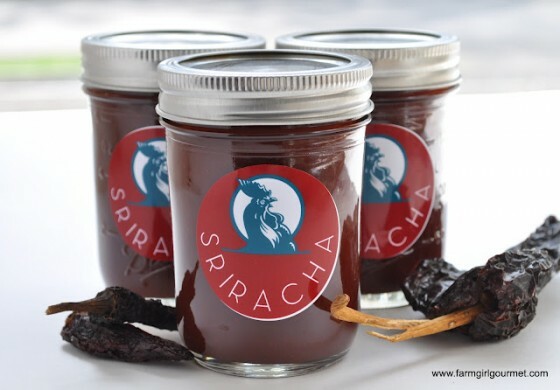 I’ve loved these post–we put sriracha in everything too! Sriracha is my go to ingredient, too. There is just nothing like it! What a great week!!! I’m so sad to see this week go!! I love this dressing, great idea! 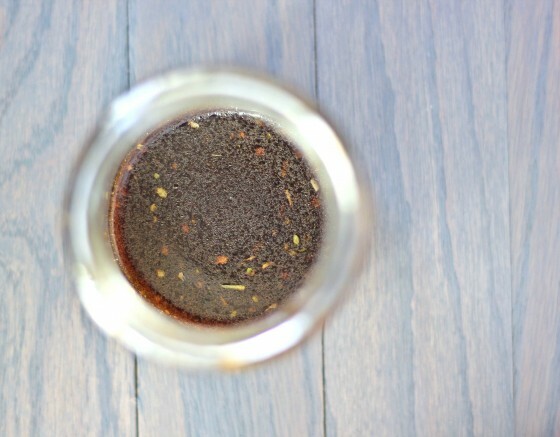 Great theme week, and I love this simple vinaigrette! I’m so glad I’m not the only one who gets nervous twitches when she runs low on sriracha!!! I love balsamic and I bet with the sriracha addition, I’d love it even more! Dude, how did you know that balsamic vinaigrette is my absolute go-to salad dressing? 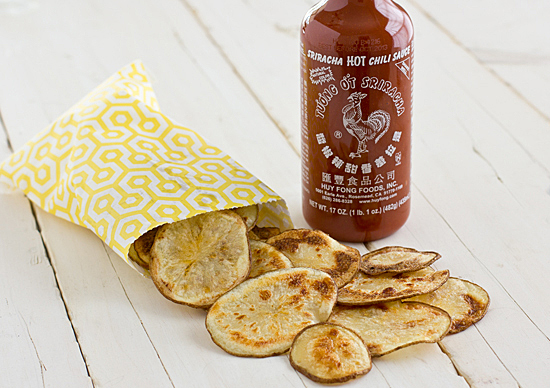 And the fact that you threw in some Sriracha in here is just pure, flippin’ genius! I’ve been really enjoying this week’s Sriracha recipes. 🙂 They are all amazing in it’s own way. Can’t wait to try each of them soon. That’s a lot of flavor! I want to make every single recipe you have posted this week! My mind is going crazy thinking about what I could put this on! Now off to check out what I missed…. ooo this would be so good on EVERYTHING!! I like home made vinagrette too, soo much tastier and healthier as well. I dont know sriracha and I doubt I ll get that here. I ll keep an eye out for this ingredient. Wish u a wonderful weekend dear! I absolutely love how you add sriracha in your vinaigrette!! I love this kicked up dressing girl! I loved your sriracha series – A LOT. Awesome some. I love this! And I’ll be trying it out soon!! Loved this. Used in on a bed of spinach with carmelized onions, strawberries topped with salmon. I doubled the siracha and used deli mustard. Thanks for the recipe!